Accucare offers a 72 hour follow-up program for oxygen equipment and supplies. Choose from liquid portable home fill systems, light portable oxygen systems, oxygen concentrators and more. Accucare carries a complete line of Pediatric Respiratory equipment and supplies, from PEP lights, biliblankets and nebulizers to low flow oxygen systems, pulse oximetry and ventilators. 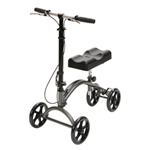 Accucare carries a complete line of home medical equipment and supplies. 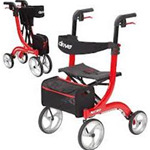 From specialty wheelchairs, hospital beds, pressure reduction mattresses, walkers and more. Accucare now offers patients, the public and healthcare providers a full-range of orthotic bracing and supports. We are proud to announce we serve MORE of North Carolina via our BRAND NEW SHOWROOM in GASTONIA NC. Accucare is so excited to expand our service into Gastonia NC from our showroom at 2515 E. Ozark Ave. With our newest showroom we provide ostomy supplies, lift chairs, wound care, hot and cold therapy and all of your medical equipment needs! For more than 15 years, Accucare’s mission has been to provide durable home medical equipment and top-notch service to the people of North Carolina. With a knowledgeable staff, Accucare has taken a hands-on approach to its business that makes the patient’s needs the top priority, no matter their age. Accucare Home Medical Equipment is your local, family-owned independent HME dealer. We serve 14 counties in western North Carolina with infant and pediatric respiratory, adult oxygen systems, home medical equipment and supplies, orthotics, bariatric equipment, catastrophic care needs, enteral therapy supplies, and tracheostomy care. We also serve all of NC and beyond via mail order supplies and our retail showrooms in Asheville and Gastonia NC. We offer 24 Hour Emergency Service and Free Home Delivery (Restrictions Apply). Our motto “Because We Care About You” reflects our understanding that we exist to serve our patients. See the Accucare online catalog for a more complete list of products. Contact us or visit our Asheville showroom and we’ll be happy to answer your questions.